Ryoko is bored and so decides to hold an autumn tea party for Ran, Ryuunosuke, Lum, Kitsune, Kotatsu-neko, Ten-chan, Asuka, and Shinobu. She recalls her first trip to see her oniisama (Shuutaro) and bring him a lunch she’d prepared nine-days earlier, where she first met “Ataru-sama,” who vowed to eat the lunch Shuutaro wouldn’t. Then Ryoko recalls a “Summer Christmas” event, where Ataru’s desperate attempt to climb Ryoko’s skyscraper-sized Christmas tree in order to get to her caused Shuutaro to go nuts to defend her, whereupon she sends everyone who attended her event into orbit as the tree was actually a rocket in disguise. As such, Ryoko decides she wants to get to know this group better without the distraction of men around. Cherry pops up, but despite his obvious manhood, he’s there to eat. 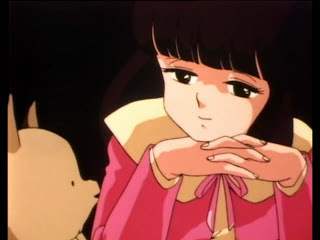 Ryoko says she wants to know about their relationships, causing Shinobu and Kitsune to remember their first meeting, when Shinobu rescued the fox from a pack of big dogs. 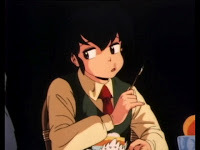 Ryoko asks Ryuunosuke, where she recalls a time when she and her father were at the beach fighting, when Ataru, Lum, Shinobu, and Shuutaro showed up in time to watch the two of them destroy their tea shop. Ryoko asks Ten-chan about his parents. Ten-chan gets embarrassed, so Lum recounts when Ten-chan’s mother came by to visit and how Ten-chan is a different person when his mother is around. 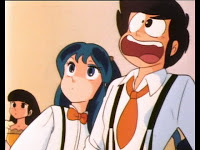 Ryoko wants more stories, so Cherry recalls how they all conspired to punish Ataru by pretending there was a murderer going after a group of them, so that when he thinks Lum has been murdered, Ataru goes nuts, especially after he sees himself and thinks he is the murderer. 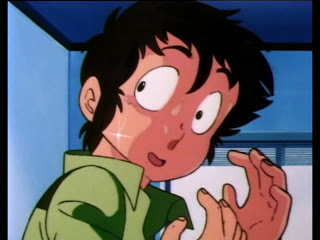 However, the plan failed as Ataru recovers as soon as he got to the hospital, though he was glad to see Lum still alive. Ryoko decides they should have some fun, so she has some voodoo dolls delivered to the guys in Shuutaro’s class, including Shuutaro and Onsen-sensei. Since each guy has a doll that controls some other guy, they all get into a voodoo battle as the girls cheer on. 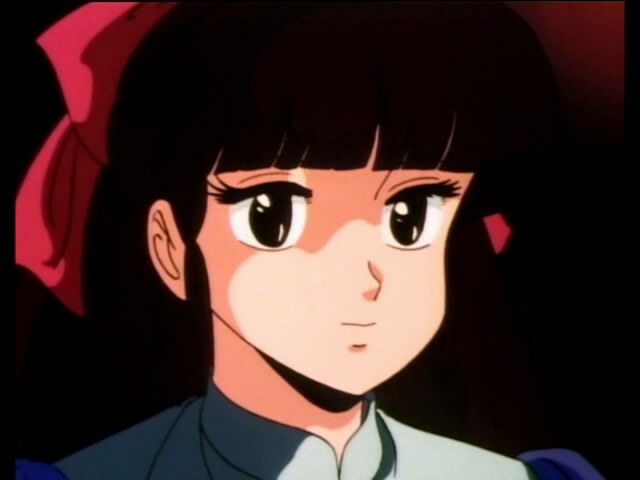 I honestly hadn’t expected the first OVA to be recaps of some TV episodes, bound together by about 15-minutes of new animation where Ryoko hosts a tea party. Actually, I take that back. I did remember Shinobu getting enraged when she saved Kitsune from the dog pack, thinking it was a puppy at first. Beyond that, this OVA is a classic example of how things work in Japan. If you were a fan of Urusei Yatsura in Japan, you were expected to pay quite a bit of money for this OVA episode because it was your duty as a fan. As such, there are a number of these kinds of OVAs for different series. So in the end, this is a “meh” episode, and a waste of time since it is a clip episode. So…you’re doing the OAVS in Japanese release order? 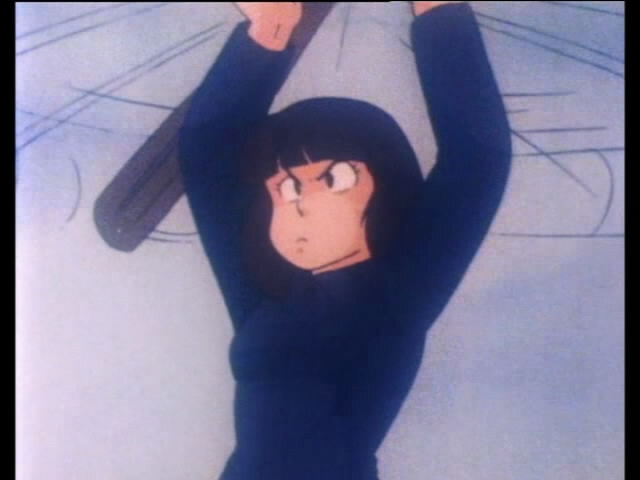 Because in the Animeigo release this was at the end of the OAV releases. Even though I actually think it’s better if you review them this way because you can see how the art style just gets really off in the later OAVs. 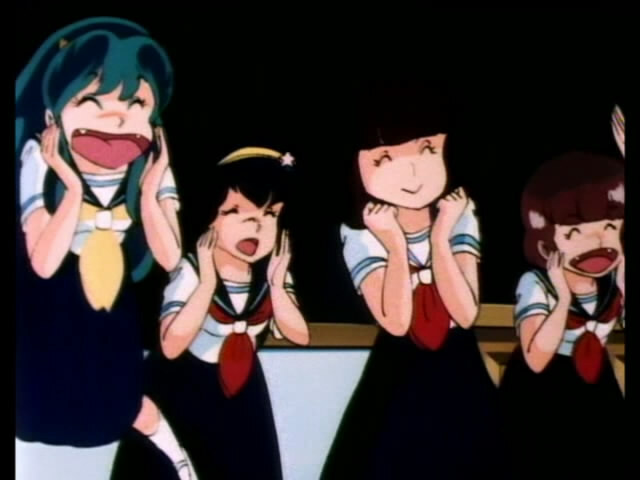 Be forewarned, the next episode is also a clips episode and I believe it has the dancing Lum opening I mentioned in one of you TV series reviews way back. After these two episodes, the OAVs follow the manga from here on out. 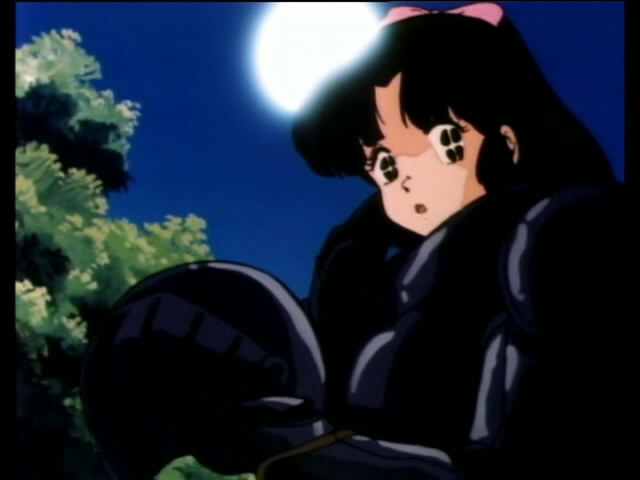 Keep in mind what should be “OAV 3” which was released as “OAV 1” in America is actually a 1987 hour long TV Special that actually resolves a character’s romance arc (or at least gives said character a good leaving off point, no, it’s not Lum and Ataru but they do get some development here as well). Yep, that’s the plan, though I did skip ahead an watch the 12th OVA that was released in 2008 in Japan, even though the subtitles were marginal at best. ^_^; I’ll blog it last though. But yeah, I want to do these Japanese order, not AnimEigo order.